Posted July 1, 2017 in K100. 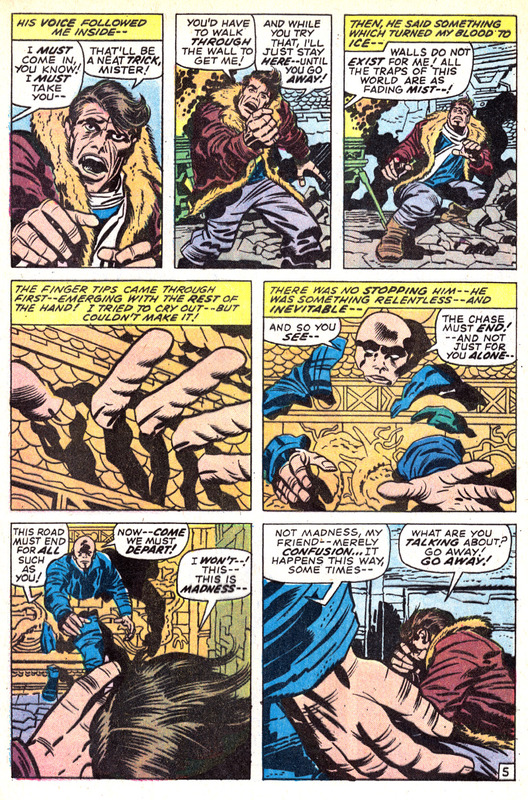 “And Fear Shall Follow” is 6-page Jack Kirby fantasy/horror story published in Marvel’s CHAMBER OF DARKNESS #5 . It’s inked by John Verpoorten, and is one of the few Marvel stories of this era where he was given an explicit writing credit, although he was at least the co-writer of almost everything he drew. This story is told by an unnamed military pilot who crashes in Red China and is pursued by a mysterious figure. 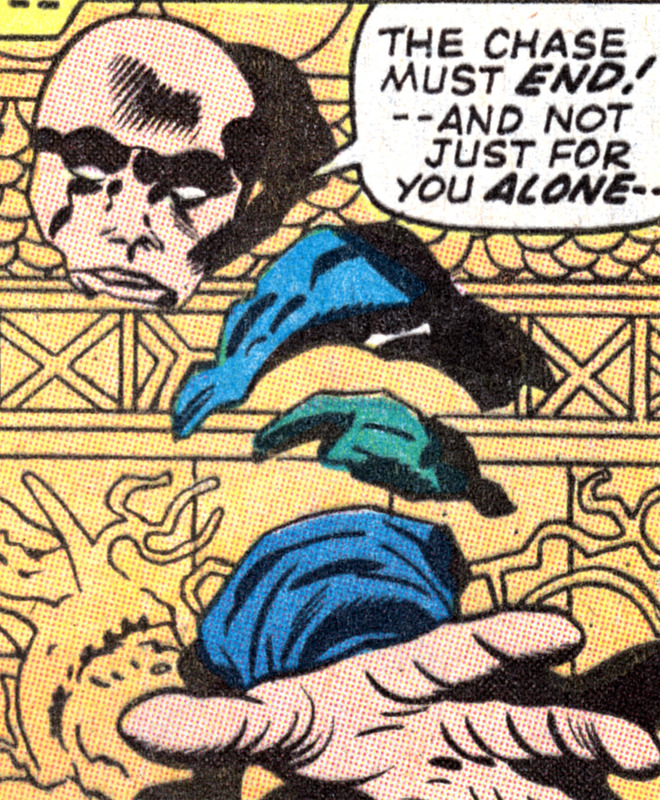 I thought John Verpoorten’s inks were especially nice, one of the first time he inked Kirby (also in a much-meddled with story in the previous issue and some covers). He would also do some very good work on some of Kirby’s later return to Marvel, both credited and apparently occasionally ghosting for Frank Giacoia before his untimely death in 1977.